Describing the principles and techniques that define Japan’s most popular style of swordsmanship, this martial arts manual gives practitioners master-level instruction. This book is a collection of the most effective and proven fighting methods spanning from the feudal to the modern eras. It illuminates the art with masterful photography and is accompanied by in-depth descriptions of the methods perfected by Japan’s ancient warrior class. 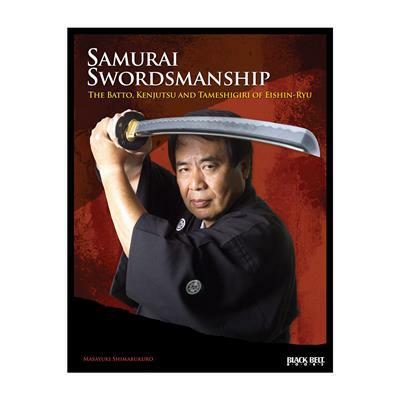 Providing instruction on the etiquette, fundamental footwork, striking, countering, defensive tactics, test cutting, maintenance, and safety needed for proficiency in authentic swordsmanship, this expert guide transports martial arts practitioners beyond mere physical technique and opens the door to self-mastery through the use of the samurai sword.